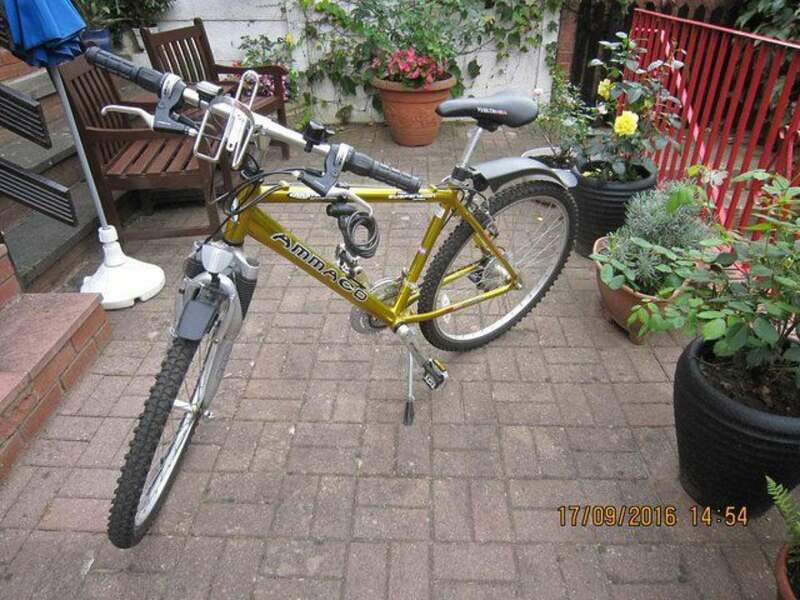 The bike is in excellent condition and has had very little use from new. 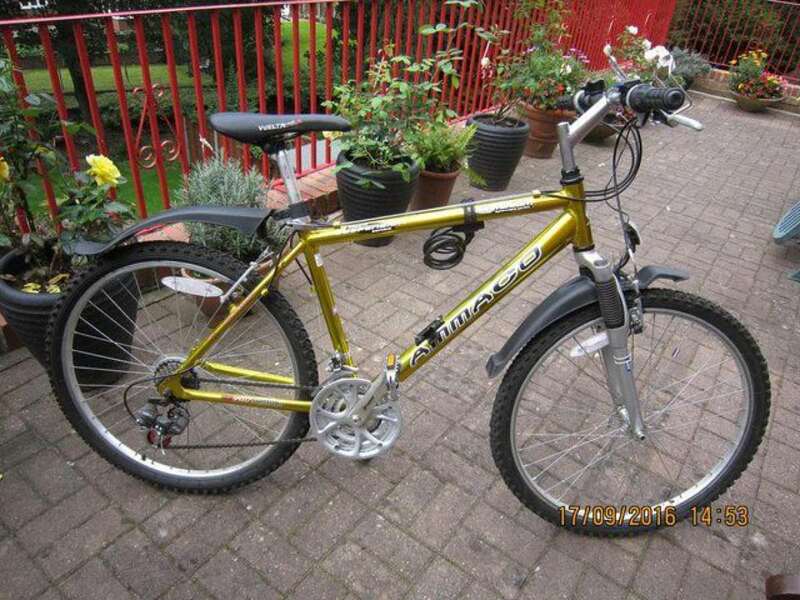 It has an 18" alloy frame with 26" alloy wheels, Shimano 21 gears, racing saddle front fork suspension. Ready for both road or off road use. Would make an excellent gift, cost new £430 selling price £120 an absolute bargain.